From start to finish, we build complete website solutions that provide a great user experience for your customers. Responsive Web Design - We design a great user experience for any device. Desktops, tablets, smartphones. 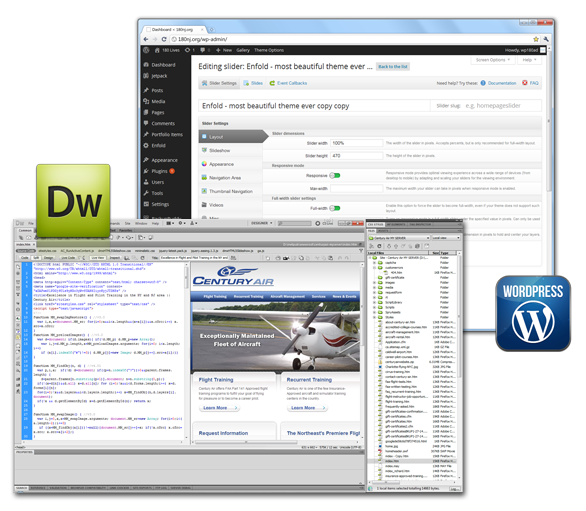 WordPress & Content Management Systems – It should be built for easy content management, integrations and reliability. Your website is your most valuable digital marketing asset. E-Commerce Development - From simple PayPal buttons thru full shopping cart solutions, we will have you selling online in no time. Mobile Websites – Mobile goes beyond tablets & smartphones. Wearables and smart TV’s are part of the new internet of things. We’ll help you stay on top of these new emerging technologies. Content Strategies – Connect with your users and what they need. You can get their attention with a smart digital content strategy. Information gathering - We discuss the specific project requirements, goals, target audience, your time frame and budget. After gathering this information, we will provide a proposal for the work. Sitemap and function - We develop a sitemap as well as any additional functionality needed. Additional functionality may include forms, content management system (CMS), calendars, animation, web video, online ordering, etc. 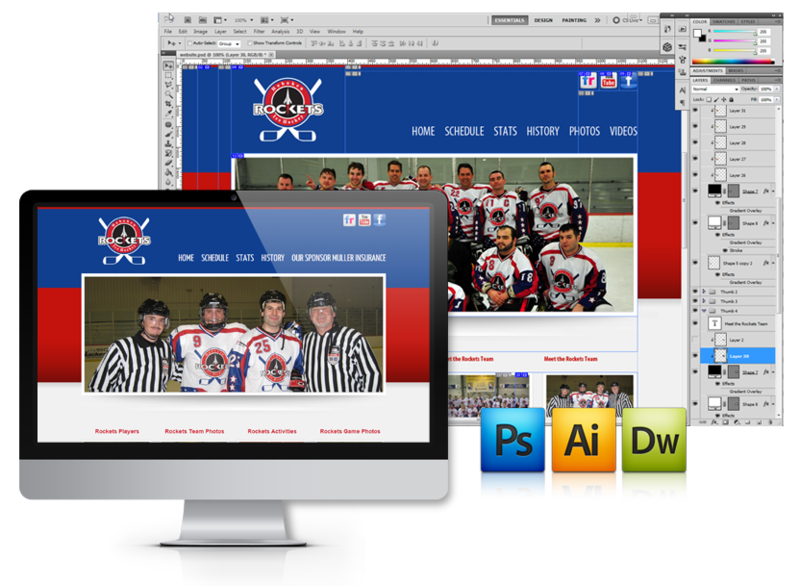 Design and layout - We determine the look and feel for your website. Your target audience will play into this design. We will provide a prototype design for your review. Communication is essential during this phase to ensure that your needs are met. Development - This is where the actual website gets created. You will need to provide any content, images and/or video to be used. Testing - Your website will go through a testing phase to ensure that it works properly in current browsers and on mobile devices. Once testing is completed, the site will go live. Maintenance - The website may be live, but the work may not necessarily be over. One way to bring repeat visitors to your site is by keeping your content fresh. We offer updates to your website on an hourly or monthly basis, as well as providing you with the keys to maintain it on your own.